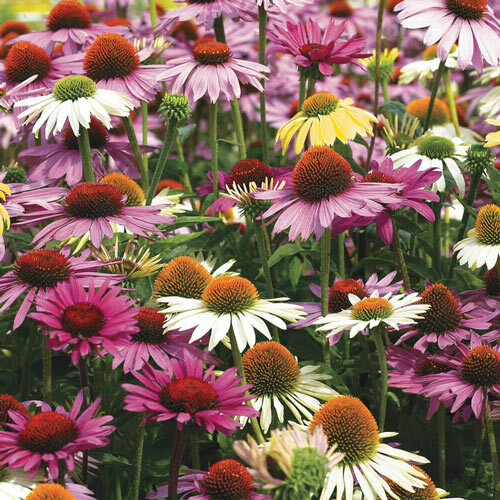 Only varieties with the most desirable qualities are used in hybridizing, so it's no surprise this mix of breeders' favorites is filled with top performers. We're sure you'll be impressed by the quality of these blooms, too. 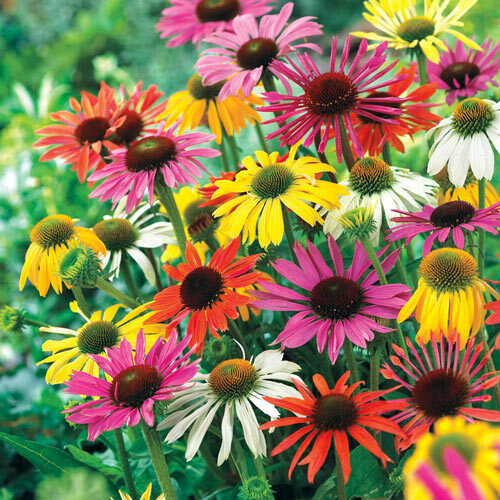 Coneflowers work well in both the border and the bouquet, giving you plenty of opportunities to enjoy the impressive flowers. They are beautiful when grouped, so our bundle-priced collection lets you create the ideal landscape for less. Enjoy five expert-selected varieties per offer. Leave a few blooms after the season is through and the birds will feast on the seeds through winter. 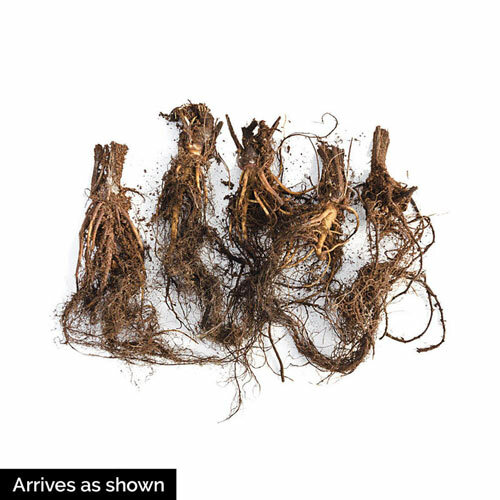 Flower FormMix can contain single and double flowers. Foliage TypeOvate to broad-lanceolate, dark green leaves. Soil RequirementMoist well drained soil. Once established it is drought tolerant. PruningDivide clumps about every 4 years. Plants rebloom without deadheading, but removal of spent flowers improves appearance. Additional InformationIn the winter the dead flower stems will remain erect. If flower heads are not removed, the blackened cones may be visited by goldfinches or other birds who will feed on the seeds. Unique CharactersticsA special mix used by a world famous breeder, Marco Van Noort, in Holland. This mix can contain single and double varieties. This mix is so good at attracting pollenators that the breeder even keeps Bee Hives to make his own honey.